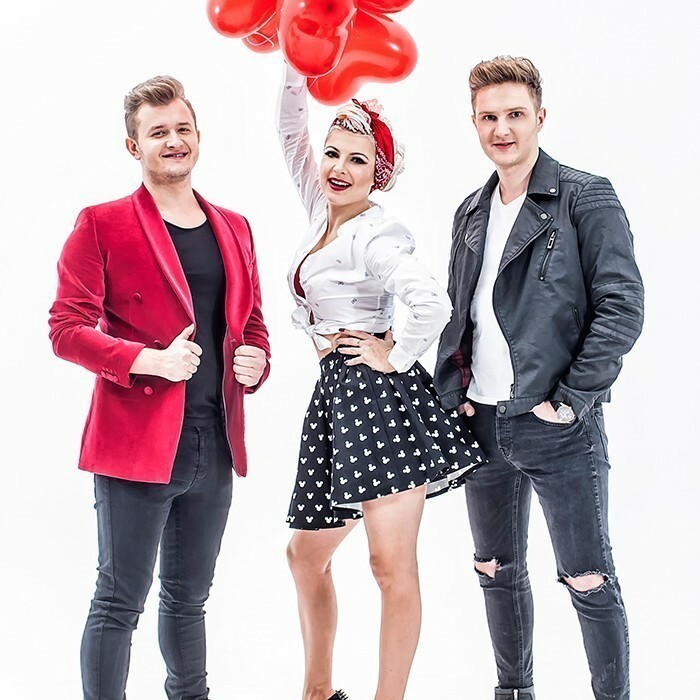 PIĘKNI I MŁODZI (Beautiful and Young) – is the first disco polo band that succeeded in reaching the semi-finals of the Polish edition of Must Be The Music. Their video clips have millions of views on YouTube. They come from Łomża in the Podlaskie Voivoideship. Piękni i Młodzi is the name of the band including the following members: Magda Narożna as the band leader, Daniel Wilczewski and Dawid Narożny. The band started performing in 2012 and it can already boast a number of successes. Their song “Niewiara” (Lack of Faith) became the Hit of the Year 2013 on all disco polo stations. The clip for the song that the group played in the programme “Kocham się w Tobie” (I’m in Love with You) is also very successful, as it has already exceeded 30 million views on YouTube.